These unusual sound wave brass hoop ear rings look amazing when worn in standard ear lobe piercings or through tunnels in stretched lobes. 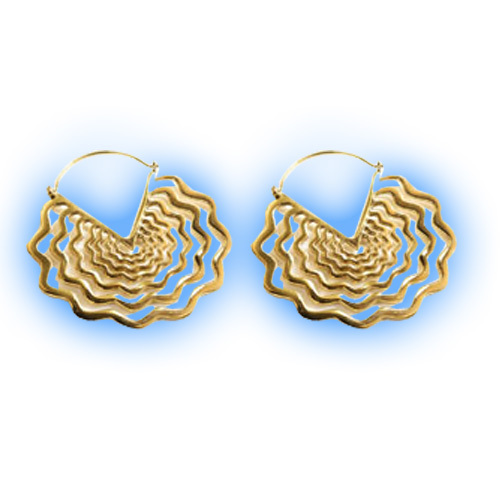 They are solid polished brass and feature an Echo design. The part that passes through the ear piercing itself is 1mm or 18 gauge thick and the design measures 57mm across and top to bottom.